Everyday this past week has been full of friendship and comradery. I talked with my friends til the wee hours of the night in the front of a bonfire. Wine flowed along with hot dogs and s’mores. We sat and talked about deep things. Spiritual things. And not so spiritual things. We have come a long way these 8 years. And even with the setbacks we’ve faced, I’m proud of us. 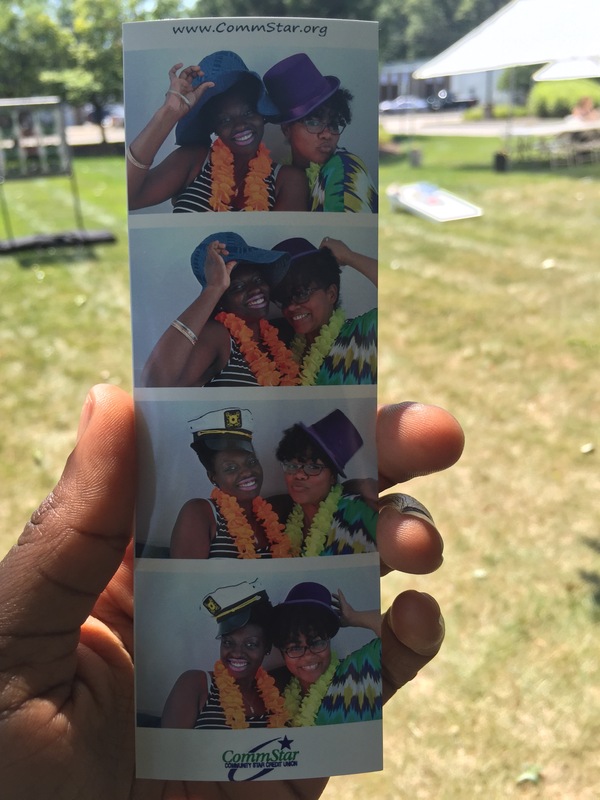 Then I hung with the work bestie, and got treated to good food, games and really cute pics from a photo booth. It was our work appreciation luncheon and Holy Spirit spoke to me about why He had chosen this to be my place of employment these 8 years. He said that the sign of a good company is how much they value their employees. The sign of a good leader is how much they value their subordinates. Hence, the Servant Leader was the greatest of them all. Valuing us so much that He endured a brutal death and gave His life for us. Even with all the waiting and dysfunction I’ve experienced at work, I couldn’t help but feel not just valued by my employer, but loved. Loved by the Most High for showering me with gifts such as steady employment, deep relationships at work and provision to be financially independent. That same work friend and I spent a good hour after work at Zumba. The class was supposed to be 2 hours long but we clearly were not in good enough shape for that! We decided next time we will try to hang for an hour and a half. It was so nice to know that this woman is not just a coworker and friend but a spiritual sister. One who prays for me and is ALWAYS encouraging me. How many can say they have that at work? Then I spent the day at Cedar point with my mom. We wore ourselves out riding roller coasters and burning in the sun. God is restoring and healing us a lot in this season. And then I was stuffed in a truck with my spiritual parents and women from our fellowship. We made the hour and a half drive to southern Ohio to meet with other members of the spiritual school we are in. I’ve become close with one young lady in particular and was eager to spend time with her. We made plans for dinner before my big trip to Haiti in a few weeks. And then finally, I hooked up with a good friend for a late movie after work. I’ve been really blessed to develop a deeper relationship with this woman. Life has been full and God has been so intentional to offer me these relationships. He has shown me how I have spent so much time at His table just picking at the food on my plate. I did not want to fully engage in the season I was in, so I held back my love and attention from so many. I secretly waited for a better season. One that gave me the things I felt I was lacking. But now I’m learning that I have lacked nothing this whole time. The emptiness I have experienced was a result of brokenness. Now I’m learning how to fully dine and fully partake in my plate. In my season. I wake up each morning and speak life to myself. “I am loved. I am accepted.” And I have to do this b/c w/o me realizing it, the fear and rejection set in and my thoughts are negative. I feel like I am lacking b/c my thoughts tell me that I am. It is a fight each day to choose not to believe the lies of the enemy. But I know my freedom and wholeness are worth fighting for. I know that I am worth fighting for. The Father has been so gracious towards me. Even as I was hurting others unknowingly, He did not hold it against me. He understood my ways even when I did not and He set me on a path to teach me a better way. To learn His ways and to become exactly who He says that I am to Him.